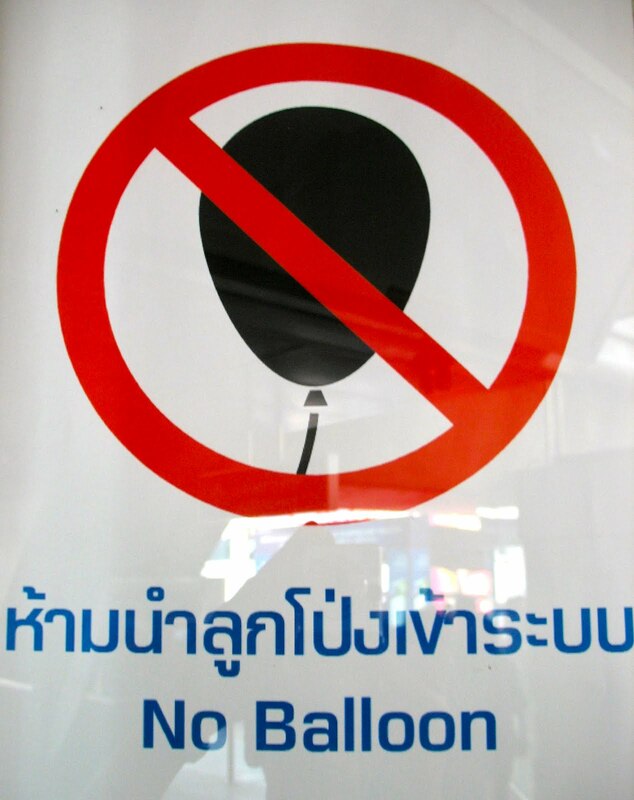 Paul Vickers : Design Thinking: No Balloon's! Intrigued by No Balloon's, on the Bangkok BTS Skytrain. Hopefully one of my Thai students will explain what it is all about. No, not yet. Still waiting for a response. Apparently balloons can contain inflammable gas and can explode...! But I have been to many children's parties and not seen any sign of this potential cataclysm. A case of steering on the side of caution I guess.